fly fishing Eucumbene lake has been up and down some big fish and some not so big but overall thing are looking good for the Christmas holidays with the mud eyes yet to happen wont be long then the bigger fish should stat to move in close to the shore line. Overall the fishing has been good and thing are going to get better once the mudeye’s start we will see bigger fish moving in. 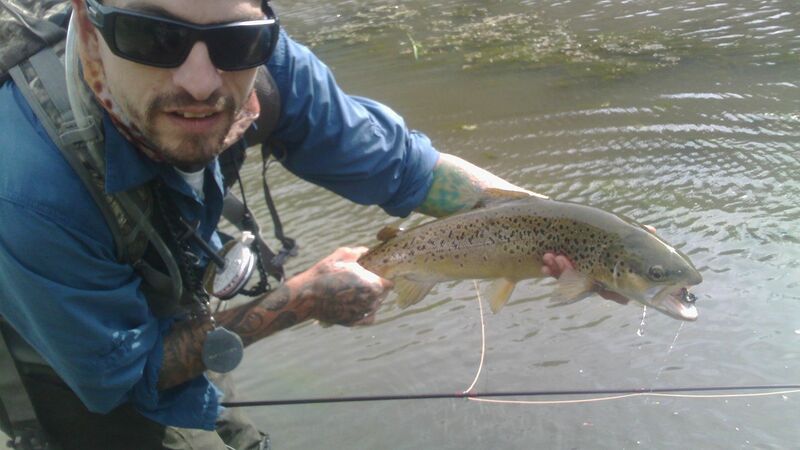 Fishing has been good with plenty of reports from the top end early mornings and late afternoons till around 10pm at night mostly browns taking Woolly Buggers, Muddlers, Mrs Simpsons and bead head nymphs. Rainbow Lake ,Dry Dam, Three Mile Dam, Guthega Dam, Island Bend Dam, Are all fishing well worth looking at. All rivers up higher have been going great. Eucumbene river, Murrumbidgee above Tantangara, All stream are worth looking at with plenty of fish and the insect life is just starting. Over at the Mowambah river all is good with plenty of action everywhere this is a great place to go dry fly fishing all day long. 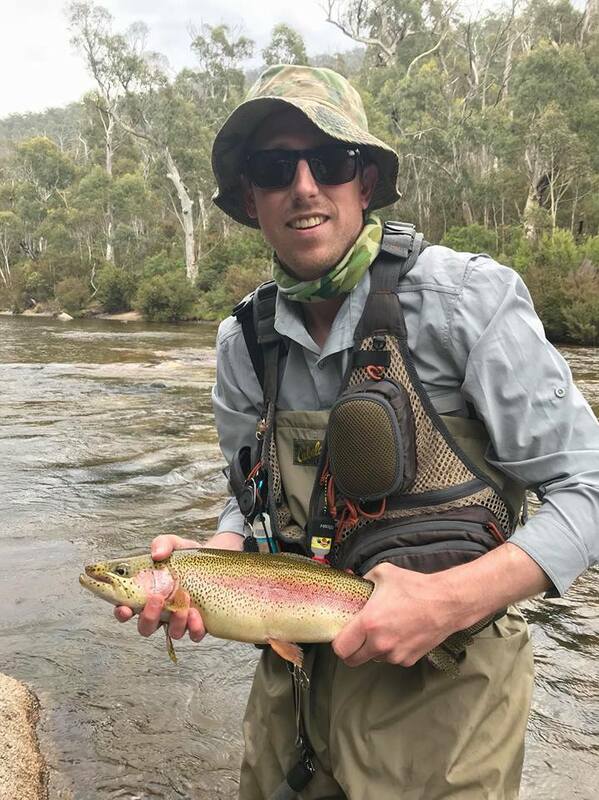 Most Monaro rivers are fishing well but things are starting to get hard yes needing rain soon but still worth looking at. We have had real snowy mountains weather up here of late,seeing all seasons in one day.Brief,but wild storm cells have seen large amounts of water fall across the region in a short time,making all storages continue to rise.Eucumbene has been the most reliable lake,with anglers who put in the time getting great rewards with some quality browns.All methods have been productive,although perhaps the ol scrub worm accounting for the majority of land based captures.The eucumbene river has been a little tough with the extra water,Thredbo river on the other side of the hill has been giving up some brilliant trout of late on dry fly. Mean while,local streams have received a lot of pressure lately,and rightly so with the quality of fish they holding, and its great to see the majority are practising good ethics with catch and release and good fish handling,as the current traffic has not put any dint in fish populations nor any signs of deterioration in angling at all on these fragile waters.Sharing water with others is important and vital so that we can all enjoy these wonderful streams. Trolling overall has been ok with good reports coming in from most areas best times are early mornings late afternoons. Trolling early close to the shore line as the sun comes up start moving out to the deeper waters, Late afternoons start moving back towards the shore line. Slow it down most boats are going way to fast. Bait fishing is still going good if you fish at the right times “Early mornings and late afternoons if it a cloudy day stay out fishing is fine. If you’re after the new bait yes we have it in stock and it’s working well. Worms are going great and they will for sometime now after the rain keep them close to the shore line about 15/20 meters out.